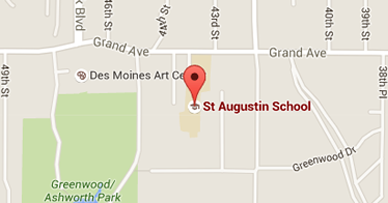 Welcome to the St. Augustin Catholic School Guidance news page. Please check out the "About Mrs. Coppola" page to get to know me better. Check back to this website throughout the year for news and updates about what is happening in Guidance. The St. Augustin Catholic School Guidance Program includes three areas of study: Personal & Social Development, Academic Development, and Career Awareness. I primarily use the Second Step program to teach the first two areas. I also supplement with the Too Good for Drugs Program, which covers drug and alcohol awareness. For Career Awareness, I use curriculum from I Have a Plan Iowa. Please see the links below for these specific websites. I facilitate several small groups during each trimester. These small groups can focus on a variety of topics, such as transitioning to middle school, anger management, academic help, friendship skills, and changing families. Typically the groups are formed whenever a teacher sees a specific need within a classroom or when a parent suggests a need for their child. I will be holding a friendship group for Kindergarteners, in addition to a transitioning small group for any students new to St. Augustin Catholic School. If you feel that your son or daughter would benefit from being involved in a small group that focuses on a different topic, please let me know! As a trained and professional school counselor, I am available during the day on Mondays, Tuesdays, and Thursdays to meet with your child for any personal, social or academic reason. I have an open-door policy, and I welcome students to stop in at any time. If I am in class or with another student, your child may leave me a note in my mailbox, and I will arrange a time to meet with him or her. If you feel that your child would benefit from meeting with me, please feel free to call, email, or make an appointment to meet with me.